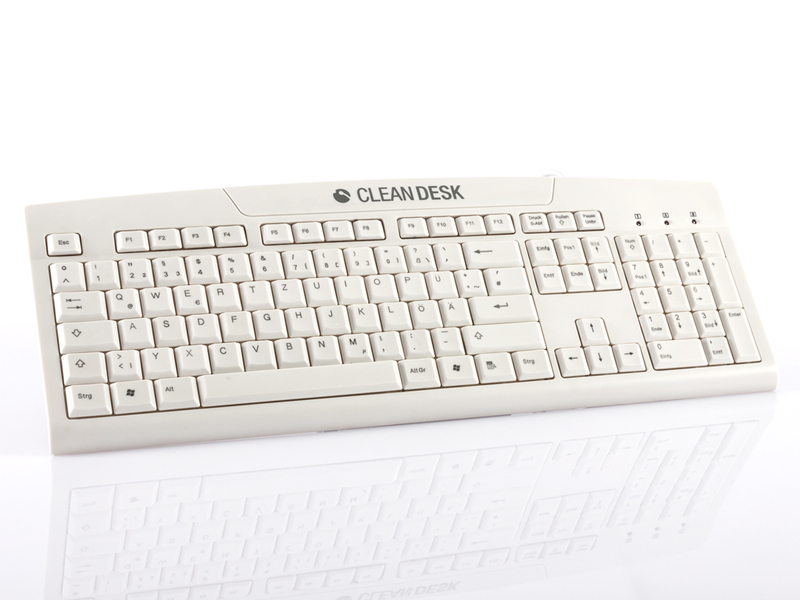 CleanDesk is a PC keyboard made of synthetic materials, but its electronics are water-resistant. It can be rinsed and disinfected under running water; drainage holes at the bottom enable the water to flow away. 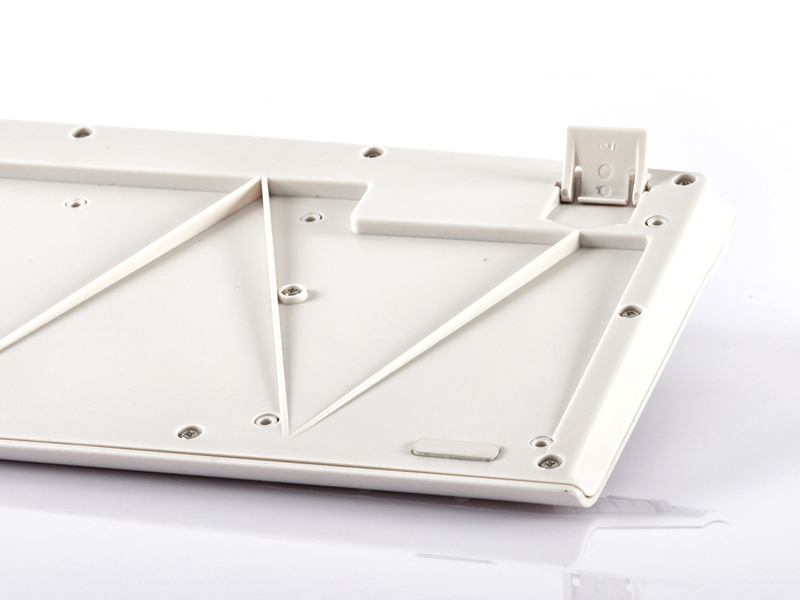 As a result, the keyboard provides basic protection against germs and pathogens, which adhere to the surface and the inside of the device. 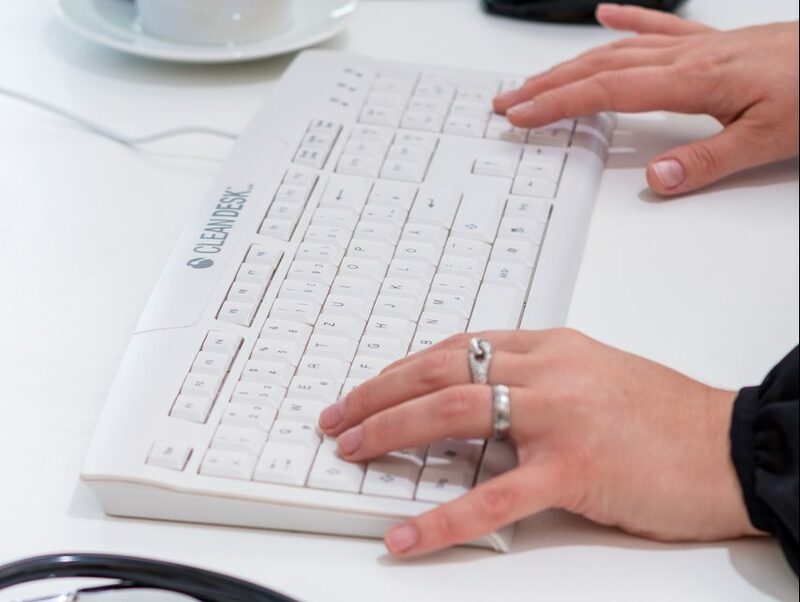 The keyboard is well suited for use in offices or in private households. It is available with all the normal country options. We can handle customisation and the affixation of your own logo, even if you only require a small number of items. There are no limits to your creativity when it comes to individualisation. We realize for you your unique keyboard true to your corporate identity, so that you can carry your corporate identity into the world. You determine the degree of individualization, from private labeling to the realization of different country and keyboard layouts and various design adaptations of the surface, the keyboard is available in all common country variants. Just contact us with your inquiry and we will handle your request as soon as possible. 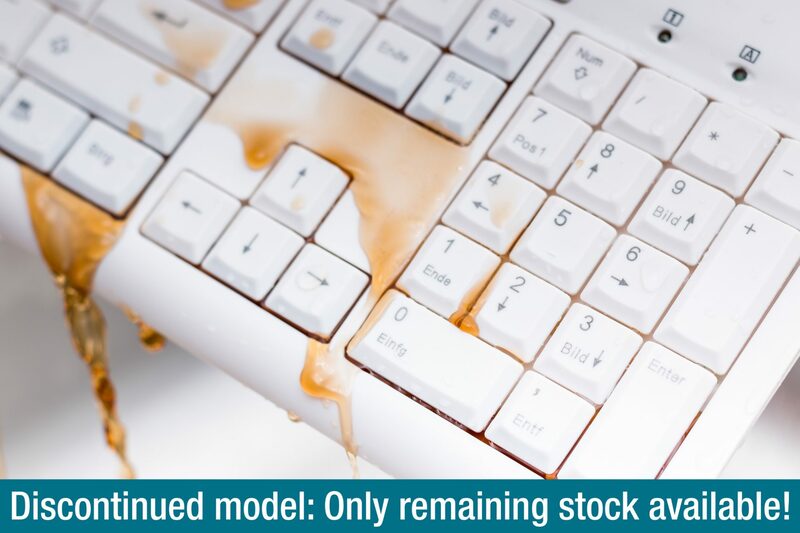 Improved hygiene management: The keyboard can be thoroughly cleaned and disinfected.